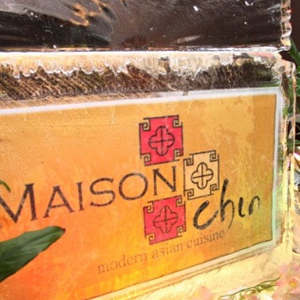 Maison Chin specializes in Modern Asian cuisine, mixing east and west, old and new, sophistication and casualty. The menu was created by International Celebrity Chef Ken Holm, and includes signature dishes like Seared Hokkaido Scallop with Tomato-Coriander Salsa, Snow Fish with Coriander and Sun-Dried Tomato Relish, and Prawn Ravioli in Chinese Consommé. Look out for the antique (and life-size) bronze horse statue--photo opportunity not to be missed. From Saladang BTS Station or SI Lom MRT Station, walk or take a Taxi to Silom Soi 1.